The Hughes AIM-4 Falcon was the first operational guided air-to-air missile of the United States Air Force. Development began in 1946; the weapon was first tested in 1949. 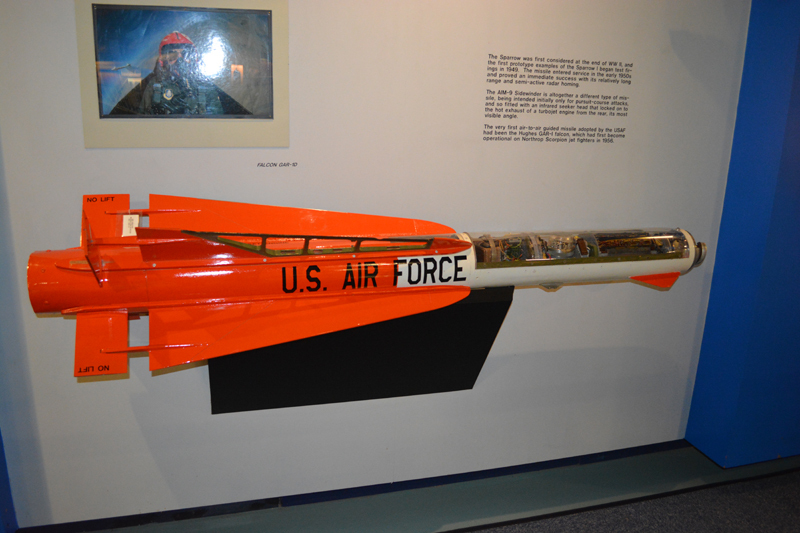 The missile entered service with the USAF in 1956. Produced in both heat-seeking and radar-guided versions, the missile served during the Vietnam War with USAF McDonnell Douglas F-4 Phantom II units. Designed to shoot down slow bombers with limited maneuverability, it was ineffective against maneuverable fighters over Vietnam. Lacking proximity fusing, the missile would only detonate if a direct hit was scored. Only five kills were recorded.